I pride myself on having a profound understanding of what Italian food is and what makes it authentic…And yet, I ask myself, what is authenticity and does it really matter? Italians are, of course, passionate about their food culture and ready at all times to chastise a foreigner for not understanding that right combinations or sequences of flavors. Salad always comes after the entrée — never before. Pasta and soup fill the same slot in the meal, so you eat one or the other and not both. 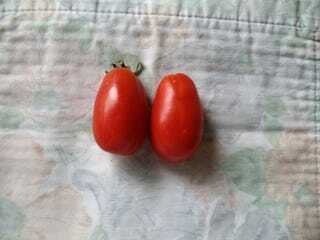 Plum tomatoes are for pasta sauce, globe tomatoes are for salad. And so it goes, a dizzying array of rules and regulations for how you eat. But still I wonder, what is the importance of authenticity? Food is not static. What we eat is constantly evolving and changing. New things become available. When I was a child in Rome, cilantro, limes, and yams were unknown and unavailable; today, thanks to immigration and the global produce trade, you can probably find all three at the corner vegetable stand. When I first started paying attention to my neighbors’ farm in Tuscany, they were extremely self-sufficient in terms of their food. They grew, raised, and foraged probably 90 percent of what they consumed. Their food and flavors were delicious and unvarying, and the dishes Mita cooked formed the basis of my understanding of Italian food.